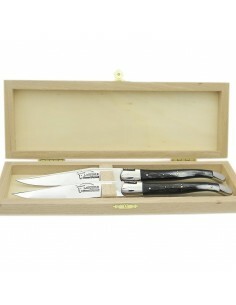 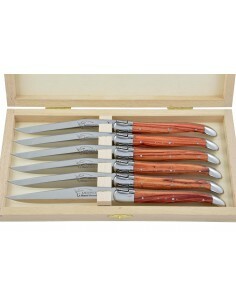 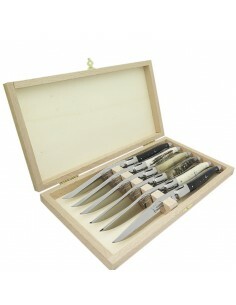 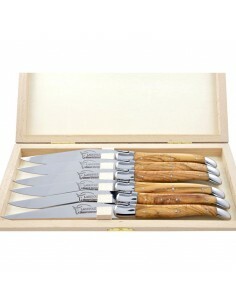 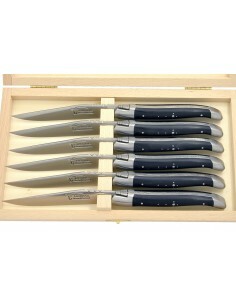 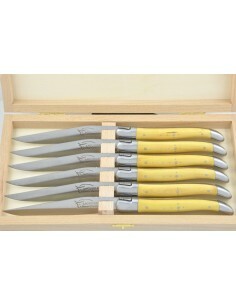 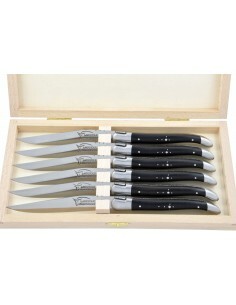 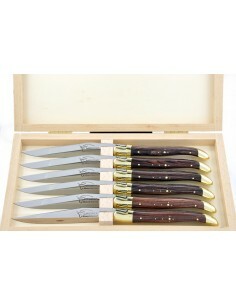 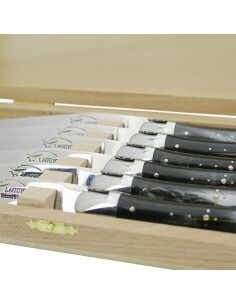 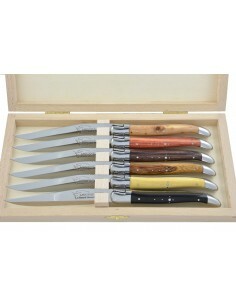 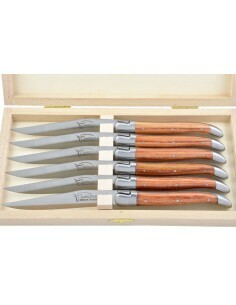 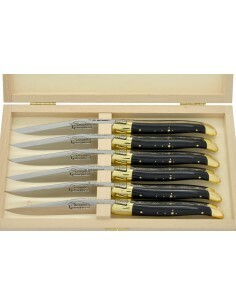 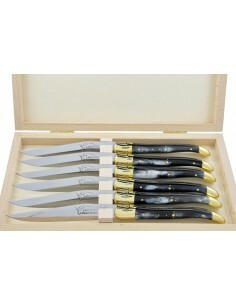 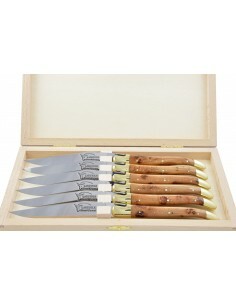 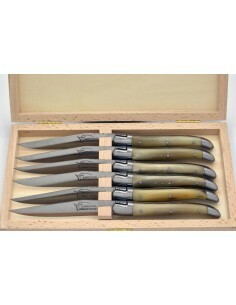 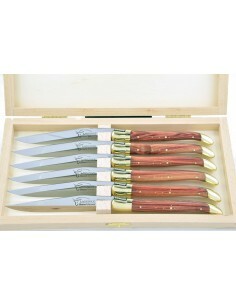 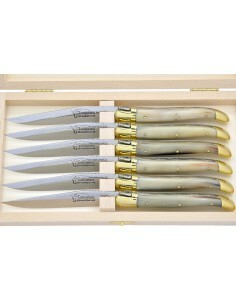 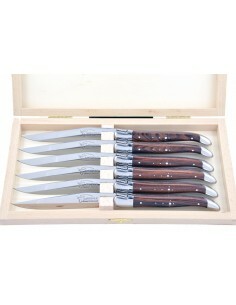 Laguiole steak knives with wooden or bone handles feel natural and are pleasant to hold. 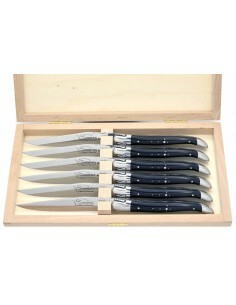 On the other hand, they must be cleaned by hand (with a damp sponge, never immersed in water nor held under running water). 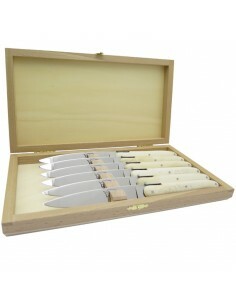 Traditional, natural materialsThere are 26 products. 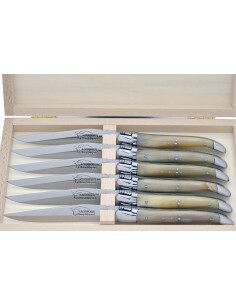 Laguiole steak knives "Antique", smooth forged bee, full shiny handle in bone. 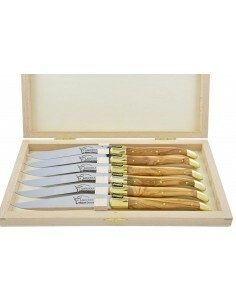 Laguiole steak knives with brass bolsters. 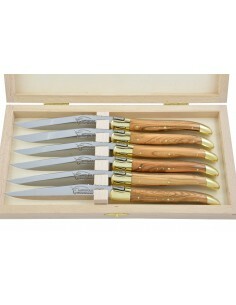 Slim olive wood handles.